Pleases check back to download these forms. 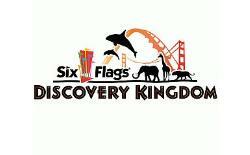 There are three forms that must be filled out and signed by a parent or adult guardian so that students are allowed to go on the 8th-grade field trip to Six Flags Discovery Kingdom in Vallejo. The fourth form is an information letter about the trip. These forms are due in the front office no later than Friday, April 26. The forms must be accompanied by the nonrefundable payment to cover the expense of the field trip. Checks may be made to Hart Middle School. You can also make your payment through Future Fund, but forms should still be turned in to Mrs. Yu at the front office. The field trip will be on Wednesday, May 29. Bus transportation to and from Six Flags is included and required for all students. This year's 8th-grade promotion party is on Friday, May 24 from 6 p.m. to 8:30 p.m. in the multipurpose room. All students need a signed permission slip in order to purchase a ticket. You may use your computer to complete these forms. Hit "Print" to print completed forms. You will not be able to save completed forms as a file on your computer.